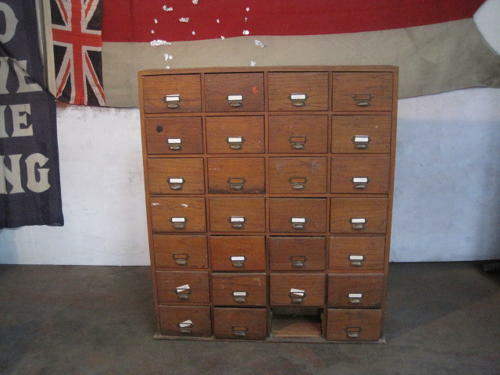 Vintage oak bank of drawers. Dates from early to mid 20th century. Original brass cup handles and label holders.